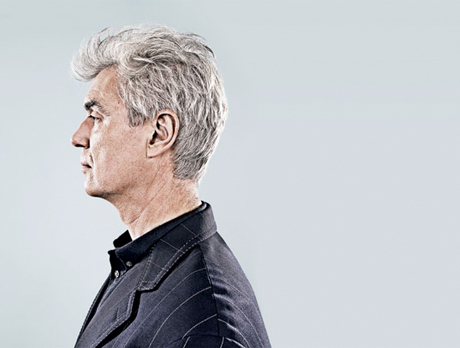 Only a month after revealing he was turning his latest album, Here Lies Love, into a film, ex-Talking Head David Byrne has announced he will score This Must Be the Place, the English-language debut of Italian auteur Paolo Sorrentino. The Playlist reports that This Must Be the Place, which presumably takes its title after the Talking Heads song, will star Sean Penn as a wealthy, middle-aged rock star whose retirement ennui leads him to track down his father's executioner, an ex-Nazi war criminal taking refuge in the U.S. The film will also star Frances McDorman as Penn's wife and Toni Servillo (who starred in Sorrentino's Prix du Jury-winning Il Divo at 2008's Cannes Film Festival) as the Nazi Penn's out to kill. The film reportedly has a budget of $28 million, and has been described by Sorrentino as multi-faceted: "On the one hand, it's about a father-and-son relationship. On the other, it delves into the theme of the Holocaust, which is a lot riskier, but also something I've been thinking about a lot." This is far from the first time Byrne has created music for film. In the past, his scores have accompanied work by the likes of Jonathan Demme, Bernardo Bertolucci and David Mackenzie.